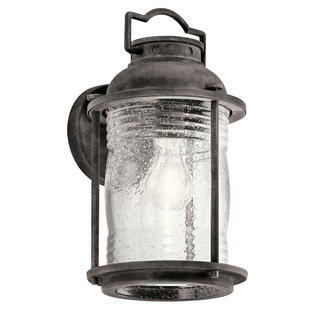 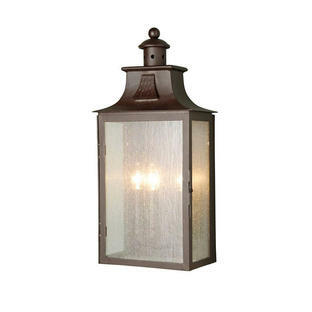 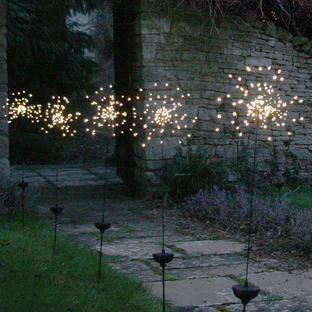 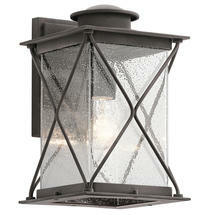 Country lodge insipred outdoor wall lantern. 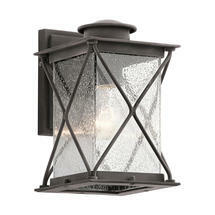 The Argyle outdoor wall lanterns feature a lodge inspired design which brings a distinctive look to your entrance. The lanterns feature a crisscross pattern across the glass, in a beautiful weathered zinc finish, the glass is clear seeded glass.